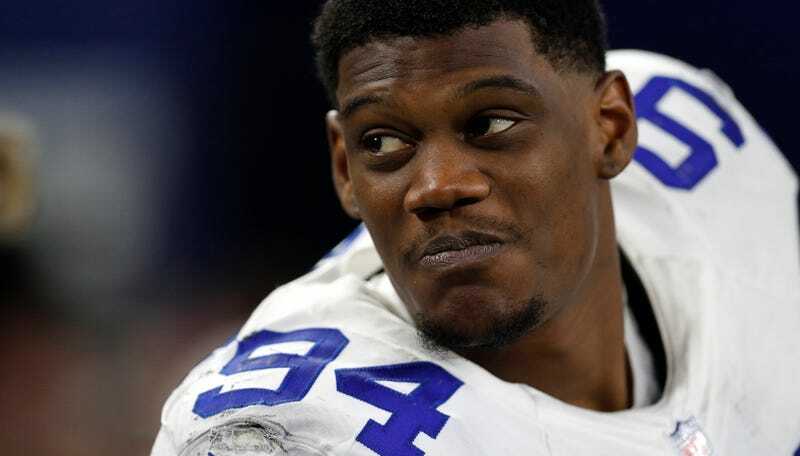 This afternoon, second-year Cowboys DE Randy Gregory received a year-long suspension from the NFL for violating the league’s substance abuse policy. He was suspended for the first 14 games of this NFL season and only appeared in Week 16 and 17 for the Cowboys. Gregory was a clear first-round talent in 2015 draft, but he fell to the Cowboys in the second round over some vaguely articulated mental health concerns. He played 12 games in his rookie season but missed most of this season due to a pair of drug suspensions. Gregory’s new suspension will keep him out for a calendar year, so the earliest he can return would be the 2018 playoffs, should the Cowboys make it.